I created this for BlenderArtists.org Weekend Challenge 784. "Under the guardrail" was the theme. 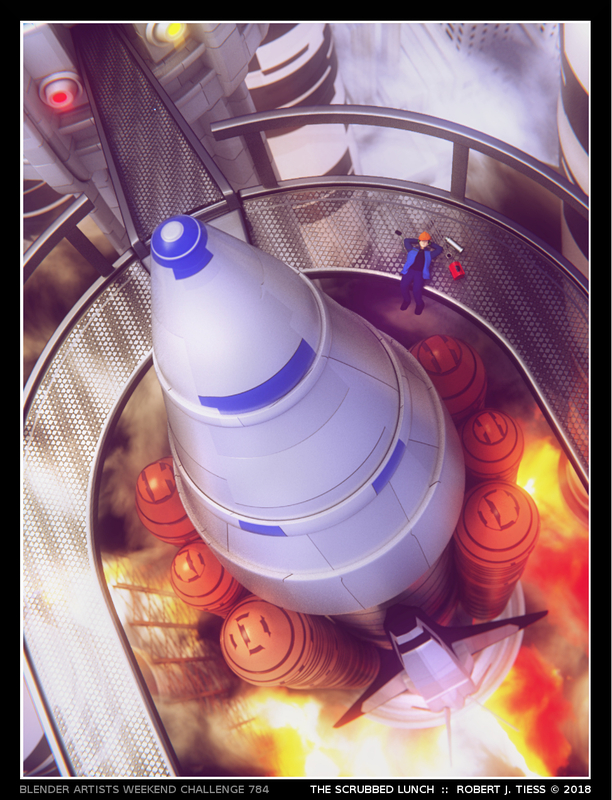 The title of this piece is a play on words - the phrase "scrubbed launch" (cancelled launch). Everything here was created, rendered, and finalized all within Blender (2.79, Cycles). Only procedural textures used. No smoke sim either: those are complex procedural textures as well.